As we cannot be responsible for the safety of valuable articles, children are asked not to bring them to school. Children should not have money at school unless for some specific reason eg lunches, trip, stationery etc. Children are not permitted to wear jewellery or earrings to school (ear studs only). Opaheke School has a Student Dress Code. All students are expected to adhere to this code. For sporting events the children in the senior school are asked to purchase a sports T-shirt from the school (light blue). 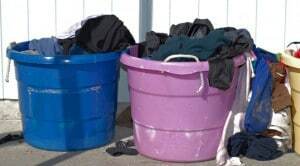 If you do use a school owned shirt we ask that these are washed, pressed and returned promptly after use. During Terms 2 and 3 children are not permitted to use the fields during lunchtimes or breaks unless they are wearing a change of shorts and footwear. Children wearing long pants or tights are not permitted to play on the fields at break-times. All clothing, including footwear should be clearly named to avoid confusion in ownership or loss. Lost property can be claimed from outside R10 after 2.30 pm. There is a compulsory school sunhat, which must be worn during Terms One and Four of each year.